Dance groups performing at Ingwebu stage Ingwebu has supported the culture and tradition of the country this has been seen by its brew which is made up by local ingredients,which are crops, it has went on further to work with Intwasa festival to support local dance groups. 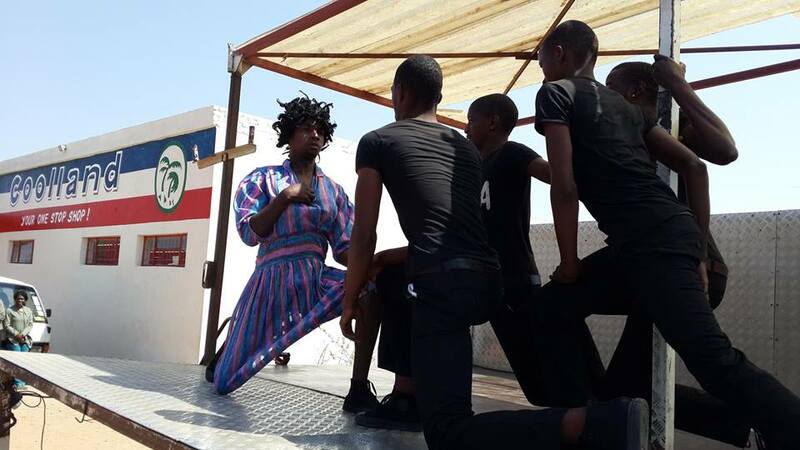 Three dance groups, performed at ingwebu stage at Intwasa festival on Wednesday, before the official opening of the festival.The three groups include KAISA, Ezimnyama, Impumelelo shining stars. KAISA was the first, group to perform.Their performance drew the attention of people who were passing by the arena.At the end the pedestrians turned out to be their audiences. The group managed to capture the full attention of the audiences when they danced the remix of the song ‘ sikalekhekhe ‘. Kaisa group performed a number of dances which gives out a mixture of cultures in the country. The type of dances include pansula, drama dance, setapa ( tswana dance) Derick Tembo the group leader of the group stated out, that he was happy with the way his group had performed. “Our performance was able to draw the attention of people, this has made me happy, “ he said. The group began its performance in Intwasa festival since 2008. After Kaisa group, Impumelelo shining stars had to take over and perform imbube as they are known, for being one of the best local imbube group in the country. 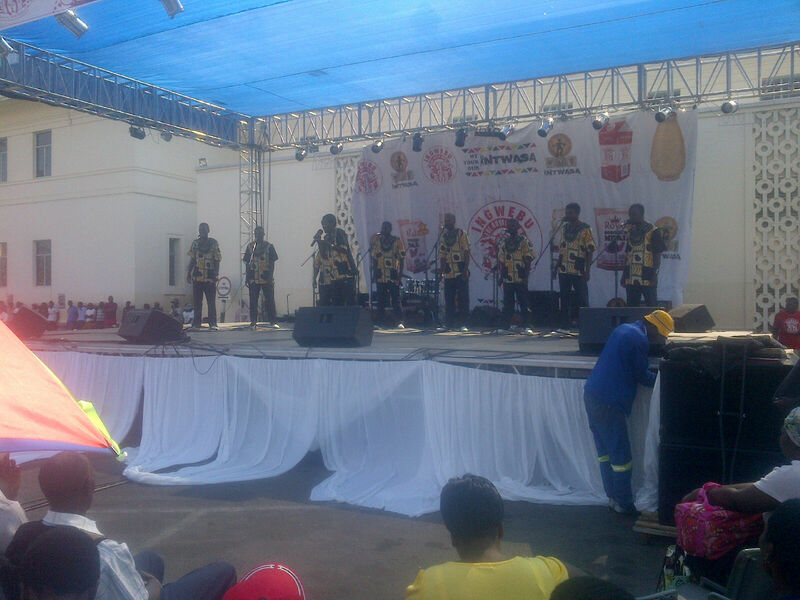 Impumelelo shining stars started by performing the song titled ‘ babawethu osezulwini’ . Which is one of the cultural traditions done by most artist, whom before performing they begin with a prayer. Impumelelo shining stars, leader Oscar Siziba commented towards the set up of the ingwebu stage. “The stage was properly erected that we were able to dance well,”said Siziba. 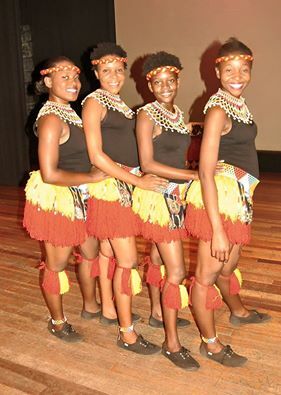 Impumelelo shining stars has performed in regional countries such as South Africa, DRC, Malawi, Namibia, Botswana etc. 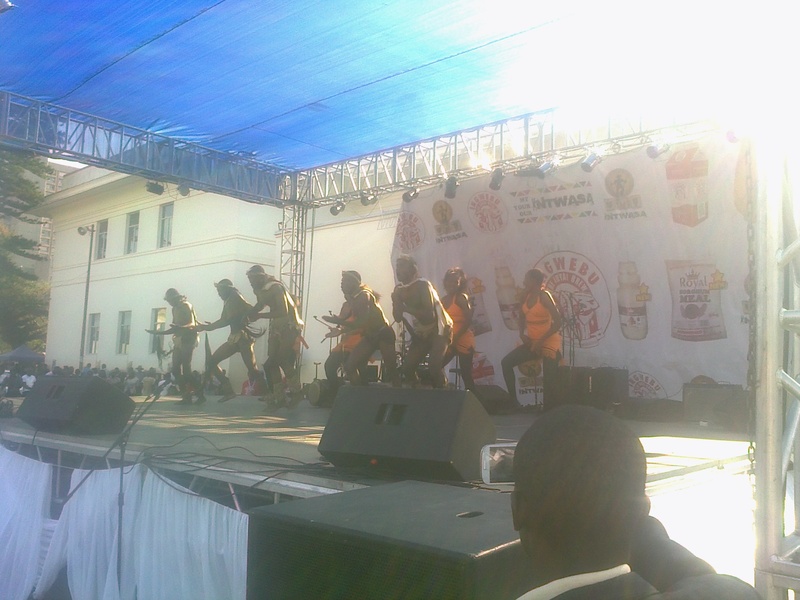 The last group to perform was Ezimnyama, which performed traditional dance. Phibion Ncube the group leader made it clear that in every show that we perform we never disappoint audiences. He also said the difference between their last year ‘s performance and this year is that this year they will be performing ‘Chinambira‘( one traditional dance). The stage which the three groups performed at was sponsored by Ingwebu and the event was opened for everyone.Which allowed people from all ages to be available which went in hand with the intwasa theme. Even though the weather was not a favorable one, the residents of the city of Kings and Queens ko Bulawayo turned in their numbers, to support the local arts.